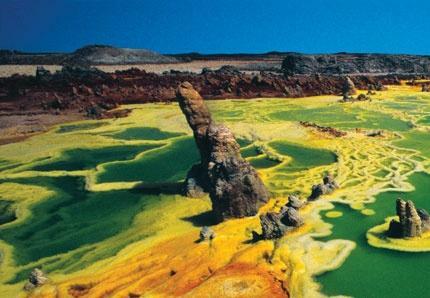 The Dallol Depression, one of the lowest places on earth, found in the Afar Regional State, is to get a gravel road which will ease the extraction of the rich reserves of potash deposited in its soils. Salnik Coal Mining Plc signed a contract with MoME in December 2007 and was given a 10 square kilometre area from where it was planning to extract one million tonnes of potash a year, for which the company says it has allocated 451.2 million dollars. The road will be 109km long; it will be constructed at a cost of 185 million Br by the Defence Construction and Engineering Enterprise of the Ministry of Defence, which has been given the contract by the Ethiopian Roads Authority (ERA) without a tender. ERA was delegated to handle the responsibility by the Ministry of Works and Urban Development. “Other companies did not show any interest because the site is extremely hot and there is also a security problem. That is why the enterprise was awarded the contract without a tender,” said a top official of ERA.